Average sales prices are on the rise! The laws of supply & demand are proving true. Average sales prices continue to rise thanks to the lack of inventory and pent up demand. We are definitely past the bottom and on our way up. Prices & buyer competition for good listings will continue to increase as the spring selling season gets into full swing. The longer one waits, the more they’ll pay for their new home. Don’t delay; call me today to find your deal of the decade before they go away! & help buyers find a new home! 1) Peachtree Hills-2349 Virginia Place (on market a year ago for 550K) will hit the market at 450K as the seller is ready to be done! 3BD/2BA, 2 car garage and yes a yard too. I have pictures I can email you if you’d like. 3) 4167 Roswell Rd, commercial duplex across the street from Post Chastain and Pike Nursery. It will go on the market for 350K. It is perfect for a physician, insurance, or any other small business. If you, a friend, family member or co-worker are interested in any these properties please let me know and I’ll connect you with the listing agent. 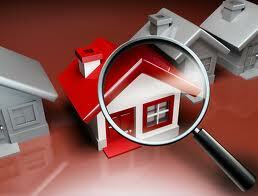 Another colleague’s clients need a house YESTERDAY in area Alpharetta or South Forsyth County! $300-$500k. Not currently listed, they’ve seen everything listed. 4+ beds, 3+ baths, traditional, swim club, basement, a decent yard for kids. If you have match, PLEASE us know. Her clients SOLD their home and have to move out end of February!! Believe it or not, that is actually a nice problem for a seller to have vs. lingering on the market indefinitely. The agent and sellers obviously did their job well; homes that are priced right and show well sell VERY quickly! If you or someone you know is considering selling I can help you achieve the same results! Just contact me TODAY for a free, no obligation consultation.